One thing I've been asked time and again is for more program options. We previously only had booklet & petal fan programs available. I've designed dozen of programs over the years that are 4x10 or 5x7 and am just finally getting a chance to add some of these options to our website. I love the way it looks in all script. And their initials flowed beautifully for the monogram. 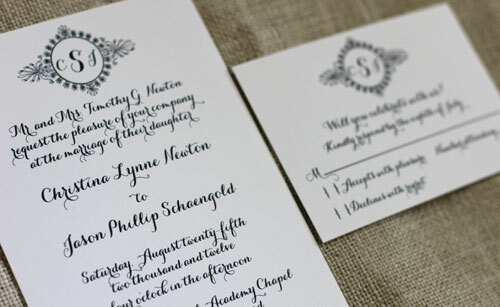 She also needed a simple, one sided program and I love how these turned out. The Monogram single sided program is now available on our site. 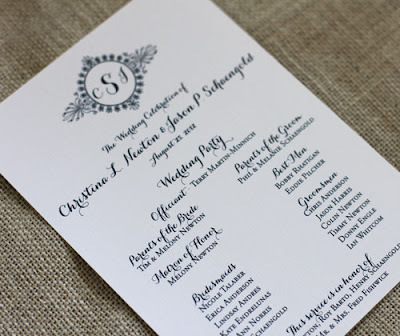 Congratulations to Christina & Jason and thank you for choosing Blush Paperie!